Many Protestant groups but also others are denied on technicalities the necessary permit to engage in activities. Protestant groups complain about systematic discrimination. 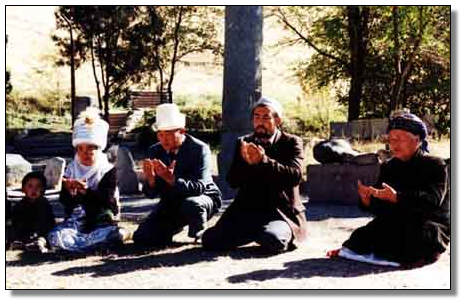 Bishkek (AsiaNews/F18) — Kyrgyz authorities are preventing believers from unauthorised groups to meet, even if only to pray. The Forum 18 news agency has reported that many Protestant groups are being denied the right to register on legal technicalities. Kyrgyzstan’s new Religion Law, which came into effect in January 2009, imposes in effect great hurdles for groups that seek official recognition without which the faithful cannot even meet to pray and celebrate Mass. Application for recognition requires at least a membership of 200 people willing to sign up. But religious groups complain that it is very difficult to get that many signatures if they are not allowed to organise any activities or advertise their faith to recruit new members. Intimidations against the faithful are not helpful, either. The Protestant Church of Jesus Christ was able for instance to register in Bishkek, but for the authorities that does not apply to Talas. For this reason they banned the group from meeting in a rented cinema in that city. When the members of the congregation began meeting in a private apartment, the owner was summoned and interrogated repeatedly. In Talas the Church failed to get 200 members to sign up because many faithful are reticent to do so, afraid that they might be subject to controls and retaliation. In Kochkor district (Naryn) Prosecutor T. Kasymbekov issued a warning against Bakhyt Mukashev, the pastor at El-Shaddai Protestant Church, to stop meeting for worship in his private home. The clergyman, who has been repeatedly summoned and interrogated with his wife, has argued that his church is a branch of the El-Shaddai Church registered in Bishkek. But he too was told that such a registration does not apply to other places. All religious groups are affected by the repression. In Bishkek Hare Krishna are systematically persecuted. Their demand for registration has been rejected and they cannot advertise, and so they have bee prevented from getting the 200 members necessary for registration. Islamic groups are also affected by persecution. In Bishkek the Ahmadiya community has been registered as a “foreign mission” even though most members are Kyrgyz. This means that anything the Ahmadiya do requires special permits, as if they were foreign missionaries. Without authorisation they cannot be involved in any religious activity.